In 1986 Nati and I moved to Almeria. There I started looking for work and found the opportunity to enter Esabe, a company that provides custody and transportation services for banks. The possibility of working was safe and imminent, my duty to search was fulfilled so I dedicated the mornings to study the black holes in the Villaespesa library. At that time there was a candidate, more likely to succeed than me. He was Cygnus X1. The strong emission of high energy X-rays from his binary star to think of a colossal sump of matter in an accretion ring at a temperature of millions of degrees kelvin. It was almost perfect and as I read, I was thrilled by the discovery. The black holes and the mystery of divinity are similar. The center of a black hole is called singularity, because the behavior of physics inside it is unknown, unpredictable, our laws do not serve to understand it. The edge as far as its influence goes is called the horizon of events. Beyond that horizon, we know nothing, it is veiled to our consciousness. This mystery encouraged my interest in others. Likewise, the divinity, the savior himself declares, “For, behold, the mystery of godliness, how great is it!” (D&C 19:10) Neither do our laws serve to penetrate its horizon. Joseph Smith exclaimed, “O God, where art thou? And where is the pavilion that covereth thy hiding place?” (D&C 121:1) Man has faced that horizon many times, mostly with misconceptions. The physics of their beliefs did not explain much and for centuries they described an impersonal, intangible, immaterial and incomprehensible god. This divinity did not bring much to humans because we are personal, tangible, material and complex. The restoration of the gospel in 1830 brought new words and concepts that have curved faith in God into a surprising physics of divinity. There is nothing compared to these new contributions. On March 20, 1839, the prophet declares “There is no such thing as immaterial matter. All spirit is matter, but it is more fine or pure, and can only be discerned by purereyes;” (D&C 131:7-8) strange doctrine for a new religion. Nothing in the environment of that time created a context for making that statement, those words were emerging new, unique and strange concepts. This and other revelations caused the Church of Jesus Christ and the saints who profess their faith to be gradually regarded as non-Christians. But it is evident to those of us who enjoy this broad panorama that restoration helps us to understand that singular mystery of divinity, and we do so perched on the very edge of the horizon of events. 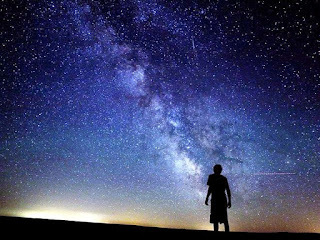 Here I begin a series of three articles where I expose some ideas taken from the new writings related to the universe from the perspective of restoration. For me they represent very valuable possessions, regardless of their acceptance. In our canonical books there are three accounts of the creation of the Earth. If we include what we learn in the temple (this being the greatest contribution), we have four versions. More than enough to contrast and draw conclusions. However, considering the reverence due to the temple, I will only abide by the scriptures. In these accounts, light is the forerunner of facts. To understand its nature the best way is to see it act. Let us now look at the previous landscape. In Abraham we read in more detail: “And the earth, after it was formed, was empty and desolate, because they had not formed anything but the earth; and darkness reigned upon the face of the deep, and the Spirit of the Gods was brooding upon the face of the waters.” (Abraham 4:2). This “dark” period, prior to the light, is dominated by one word: desolate. This word describes besides an empty panorama, a sensation. Desolation comes from the Latin desolatio (action of depriving of all comfort, sad, arid). That darkness and desolation for which there is no human witness on its surface and which is only perceived by the Gods has a cause and this is it: they had only done that! During that time of impasse, intentionally mentioned in this verse, I wonder why they only did that? How is it possible that the work of the gods resulted in emptiness and desolation? The key to this issue can be found by reading carefully and placing ourselves in the observer’s place, “and darkness prevailed over the face of the abyss”. They simply had no more light in the task, they could do no more. An empty and desolate land is the only thing they could do with the available light. That embryonic land, which will soon come to light, is in gestation in the matrix of a basic light or light of truth that has only been able to give it a coarse form. This impasse in creation seems to be waiting for something, a trigger. The light of truth as well as the elements are eternal and uncreated. They are entities with which “one must understand oneself” because otherwise “Light and truth forsake that evil one.” (D&C 93:37) since, as we have read, they are independent to act in their sphere. They are allies of the Father and from His presence fill the space. At this point, perhaps a certain vertigo will arise, as we look out into unfathomable spaces that we previously believed to be enclosed in our mind in the form of a fixed language and without orbit. All this suggests that the self-awareness that we enjoy is not an exclusive property of biological beings, as we are accustomed to thinking, but that the revelation shows us that consciousness acquires unexpected forms and surprising owners. Restoration presents us with actors who, in our minds, have always been abstract concepts, such as intelligence and in this case light and truth. Contemplating them from the perspective of restoration gives great content and richness to creation. We begin to glimpse what is behind the hidden pavilion. This period of the earth reminds me of the potter who kneads clay in preparation for his work. On his lathe, almost without controlling his hands, he looks at the clay. It is empty, desolate and formless, spinning before it like an inert mass of clay. 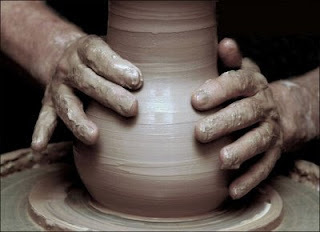 Because in that previous work, his hands move over the beam of clay, but he has not yet applied the light of the art of pottery, which shines on him like a good craftsman. He is prepared to make light in his work through his hands. The light of truth is art, but to shine it needs the artist. And in the beginning that is the whole Universe that can be achieved with that clay, without applying a greater light than the light of truth. At first this looks like a redundancy because the light implicitly carries the brightness. The words of the revealed scriptures, however, have their own physics and do not obey known forces and laws. They are dynamic, and have their own rotation. If we want to see behind that horizon of events to which their language takes us, we must believe in them without fear. Let’s see what Moses tells us at this point, “And I, God, saw the light; and that light was good. And I, God, divided the light from the darkness.” (Moses 2:4) Therefore we see in Moses that they understood the goodness of the light and in Abraham details why they understood it, because it shone. We can fuse these two verses this way “And they (the Gods) understood the light and saw that the light was good because it shone” That light was able to shine in an abyss and present a proposal before the face of a dark and empty world and invite it to accept a plan of progress. A plan that, in order to understand it, needed a special shine. Section 88, called the olive leaf, deepens and clarifies this concept. This section is a jewel of great value to the saints. in verse 6 we read “He that ascended up on high, as also he descended below all things, in that he comprehended all things, that he might be in all and through all things, the light of truth” (D&C 88:6). As I read this, I always understood, as if it were a tradition, that He who was in all things and through all things was Christ, but He does not say that, but Christ ascends and descends below all, that there may be the light of truth who is in all things. He is the bearer, the bearer of light. In the next verse He consecrates Christ as the light that shines, “Which truth shineth. This is the light of Christ. As also he is in the sun, and the light of the sun, and the power thereof by which it was made.” (D&C 88:7) Christ is the brightness of the light of truth, without His presence we cannot perceive the light of truth, it is opaque to us. Through the Saviour the light of truth is manifested to creation in such a way that it illuminates. The word brightness comes from the Latin berylos (Beryl, precious stone with the brightness of a diamond) also means the amount of light emitted from a point. So Christ, as a precious stone, amplifies and scatters the light with great intensity. He picks up the weak but abundant light of truth and through himself, concentrates its qualities to illuminate the beam of the abyss. Without his intervention the world would remain an empty, desolate and dark place, for the Gods [would have] formed no more than the earth, for they would not have the brightness to continue their task. Were light and darkness together? To meditate on this is to do it in a pleasant contradiction, because by definition they cannot be together, then how are they to be separated. 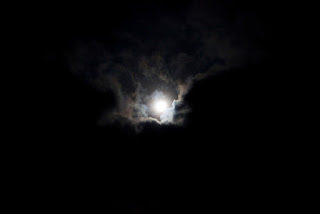 In reality, darkness was not such by itself, but it was so in comparison with the light that shines. That darkness did not become extinct, but added to it. To approach the scriptures on board of dead words makes the horizon of events of divinity unattainable and I am not saying that these which you read, dear reader, will lead you to know the mysteries. But if you take measurements of your impressions at this moment, perhaps you will notice a certain acceleration or a strange attraction towards something singular that we still do not know how to name. I would like you and I to put ourselves in the place of the earth. For the Gods we are empty and without form, but for us (her) we have come out of the stellar dust and have spherical form, we rotate, we move, we are nothing but much more than at the beginning! And this is thanks to the light of truth that has directed this great miracle. All the other worlds around us are the same as us, maybe even better. Then something happens. Imagine the reader approaching a different light, with a lot of brightness, it is not the Sun, but it is in the Sun. And he proposes a seven-period plan and speaks to us of wonders, of miracles, of life. We have no references, we don’t know whether to trust. What guarantee is there that everything is true just because there is a shining light out there? Why change the light when the one I have has given me such good results? Perhaps it would be better to continue with that impersonal, neutral, universal light that has led us automatically to our state, which has not required faith or trust on our part. Perhaps it would be better not to do anything. Even today many of its inhabitants think that all the life and diversity of its surface is the fruit of a universal energy, of an evolution without intelligence. That everything is a consequence of that primeval light that in automatic pilot directs the creation. Many believe that the reality they live is foreign to the brightness. 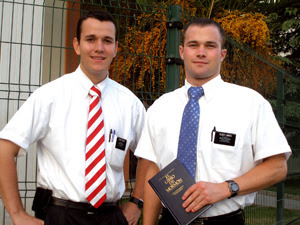 Trust those young missionaries just because they shine? They speak of the eternal family in our particular beam of the abyss. And they do so in a world where the average length of a marriage is seven years and one in two marriages ends in divorce. And they speak of the eternal family! Can we say that this is our particular bundle of the abyss and its darkness? Can we understand the earth and its crossroads before the shining light? Yet the earth accepted the plan until now. “And again, verily I say unto you, the earth abideth the law of a celestial kingdom, for it filleth the measure of its creation, and transgresseth not the law” (D&C 88:25). No one obeys a heavenly law or receives a crown without having exercised faith. A tortured soul was debated for three days in the deepest abyss, from where it cried out, “Oh, thought I, that I could be banished and become extinct both soul and body” (Alma 36:15) Behold a man without light, banished, empty, and without form. 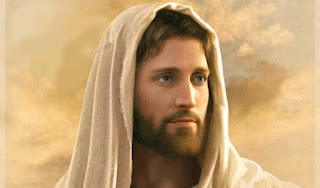 A breath of Christ’s light kept his body alive, but as he himself narrates “…I was in the darkest abyss.” Yet Alma turned to his memory “…I remembered also to have heard my father prophesy unto the people concerning the coming of one Jesus Christ, a Son of God, to atone for the sins of the world.” (Alma 36:17). That’s all he had, the memory of a Jesus Christ, something not very clear, but that one spark of light was accepted by Alma. What assurances did he have that he was going to get him out of his abyss? The same as those who only had to look at the bronze serpent to be healed. The same that the earth had to come out of the darkness. In the deep darkness, in which many of us have been, in the dark landscapes that we do recognize as such, in the dark and gloomy deserts where we walk for many hours without consolation, God knows how to value what it is to accept a simple ray of light as the only hope. He knows how difficult it is. The miracle will not be long in coming, “And oh, what joy, and what marvelous light I did behold; yea, my soul was filled with joy as exceeding as was my pain!” (20). These words could be the same as those of an entire planet. Those of a world that at this moment transcends from the light of truth to the truth that shines. The same as we can express by accepting Christ’s guiding light to transform us from a natural man to a child before God. Such joy must have crossed the face of the planet when it was bathed in the guiding light of Christ, the light of truth that shines. After a few months, I accumulated a lot of documentation on active galaxies, quasars, massive stars and black holes. It took me a long time to understand Alan Guth’s inflationary theory. But I was satisfied and content. 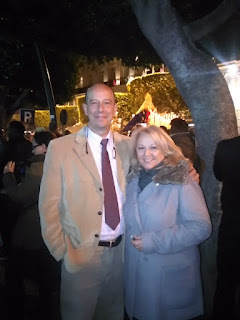 One day when I got home (I ate and lived in a flat that belonged to my mother-in-law) I wanted to share some of what I had learned with Nati, I was sure I would be impressed with those wonders. As I did the introduction, sitting in our room, she looked at me blankly, patiently, and waited until it was over. Then I ask myself very softly. Don’t you think you should look for work? I found him. They’re gonna call me. Well, it’s been eight months. At that moment it was as if a flash of lightning had taken me out of a dream. 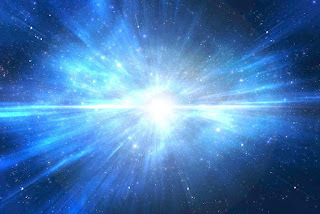 More powerful than a supernova, more intense than a quasar. At that moment the light came into my mind. I knew that the waters had to be separated from the dry land. I knew that the greatest luminary that entered through the window was the Sun. That it was necessary to order my world, until then, directed by a strange light. The light of Cignus X1 six thousand light years from Earth. Nati never again had to ask me that question. Sometimes the light that shines I can do it through ours. Such is its power.